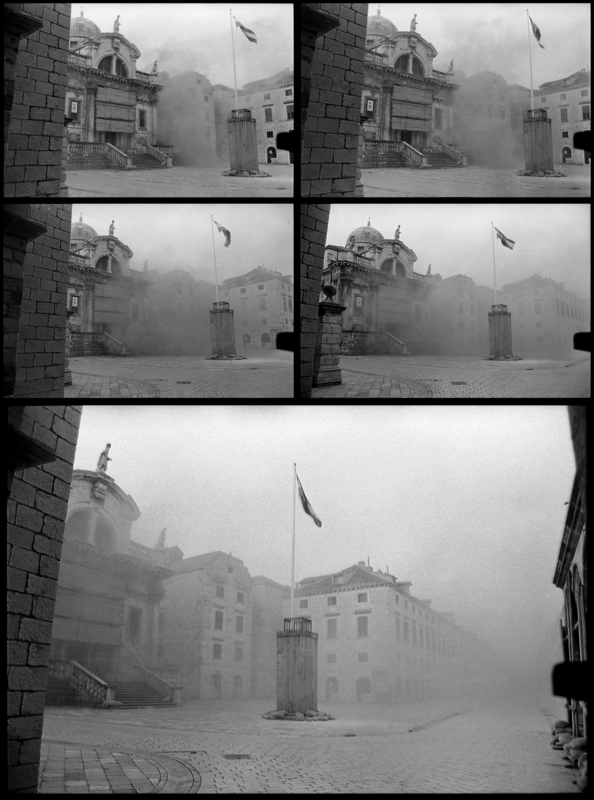 It was early in the morning on December 6, 1991, between seven and 8am, at the beginning of the heaviest shelling of Croatia’s historic coastal town of Dubrovnik, when Pavo Urban took his last photographs. Before he was hit by a shell fragment, Urban took seven colour shots and five black-and-white photographs. He was 23 when he died. 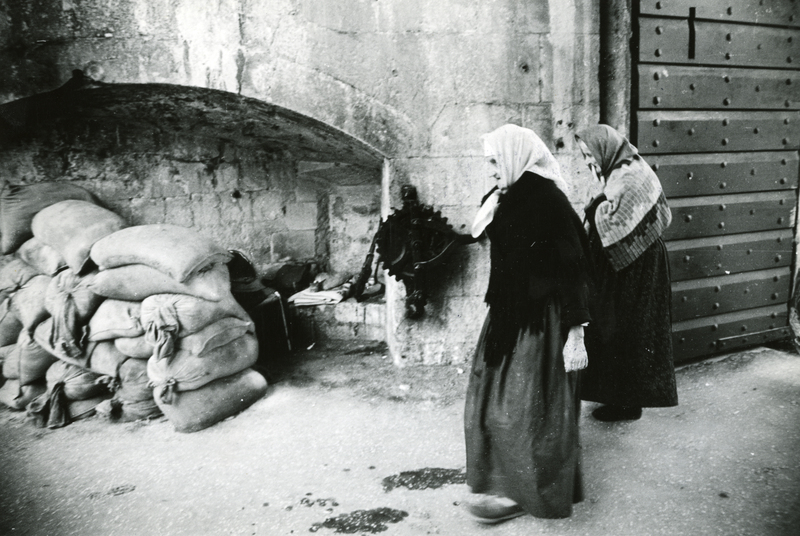 Urban was from Dubrovnik, and at the time of his death he was taking photographs of the conflict for local newspaper Dubrovacki Vjesnik and Split-based Slobodna Dalmacija, as well as documenting the wartime suffering in Dubrovnik for the Croatian Ministry of Information. “He acted, if one was observing superficially, as a war reporter. However, he was not a war reporter; he was a child of Dubrovnik who depicted the misfortune of his city,” said Antun Maracic, a visual artist and curator who has become an authority on Urban’s photography. “In any case, in those two months, from October to December 1991 [when he was killed], he did such miraculous work that many would not do in a lifetime,” Maracic told BIRN. He said that Urban’s photographs have “an approach that speaks of an exceptional passion”. “And ultimately, the risk was a condition for them [the photographs] to happen. That is what ultimately resulted in the tragedy of his death at the age of 23,” he added. The attack on Dubrovnik, an ancient port close to the Montenegrin border with a spectacular old town that has long been a UNESCO world heritage site, began on October 1, 1991. The Yugoslav People’s Army, JNA, which included a large number of Montenegrin soldiers and reservists, besieged the town for nine months. In addition to the destruction caused by missiles and shelling, the attacks also resulted in looting on a massive scale in the nearby villages. The military campaign was met with severe international criticism due to the tremendous historical and cultural significance of Dubrovnik, but the old town suffered considerable damage in the attacks. Urban was on the spot when the first shell fell in on the old town, on October 23, 1991. With his camera, he caught burning cars and ships, the shelling of the Dubrovnik fortress, people running from the fire, and smoke clouds above the city. He also documented the consequences of the attack – ruined buildings and destroyed interiors. In one particularly evocative image, he pictures an elderly woman reading obituaries that have been stuck to a wall. Mara Bratos, a Croatian photographer who was Urban’s girlfriend at the time, told BIRN that she was away from the city during the attack and found it hard to believe what was happening. “I had an insight into what was happening although it was difficult to imagine a few miles away from Dubrovnik itself,” she recalled. Twnty-seven years on, she said that she remembers his “smile, serenity, love for children, [love for] animals and love for art and photography”. Her decision to become a photographer herself was a direct result of their relationship. 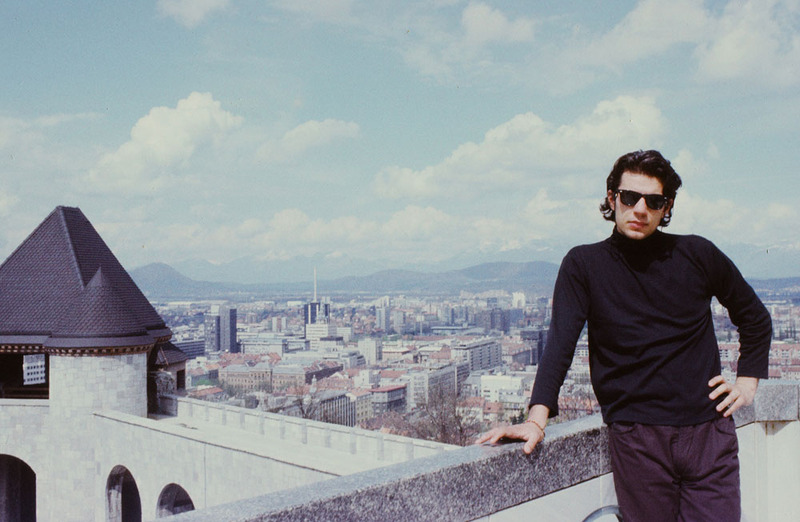 Urban began to become involved in photography while still in secondary school, said Maracic. “Pavo was doing photos earlier too, as a high school student. I also came across these photographs later and, at first, I did not particularly care for them – they were error-free photographs, I mean technically,” he added. Maracic recalled that Urban passed the entrance examination to study at the Academy of Dramatic Art’s photography department in Zagreb, and he should have started attending the college in the capital in October 1991. “However, despite the fact that he had been accepted [by the Academy], he went to the battlefield. He immediately applied to be a volunteer [fighter] and went to the Zupa Dubrovacka battlefield near Dubrovnik and stayed there for a while on the front line, if I’m correct,” he said. 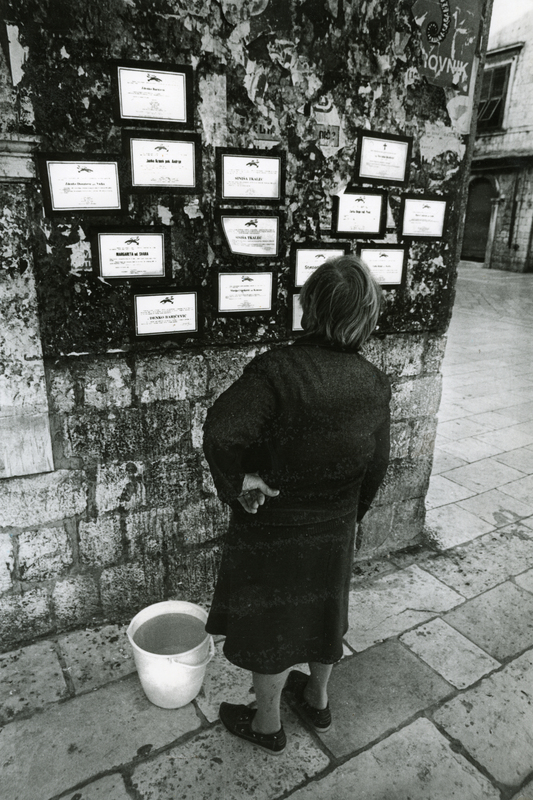 When Zupa Dubrovacka fell, Urban returned to Dubrovnik and began to work for newspapers and shoot pictures for the Ministry of Information. 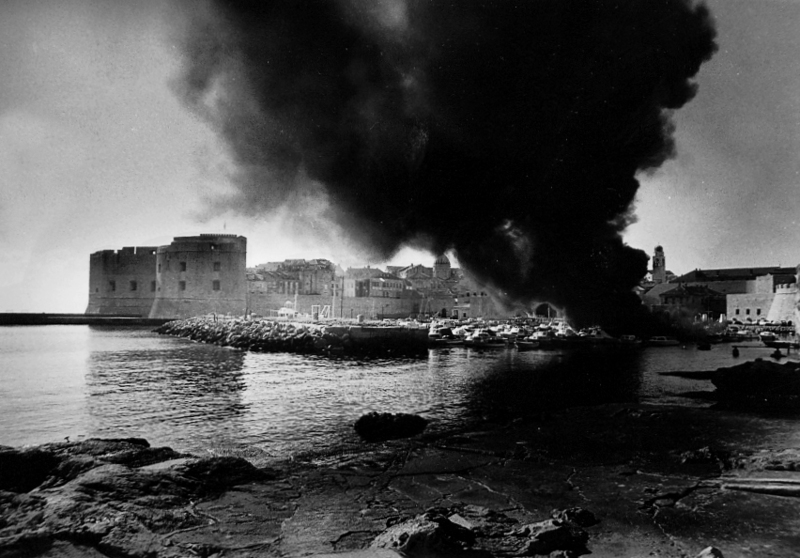 In his two months of war reporting, his style developed a great intensity, Maracic believes, which he said was evident in a series of photographs called ‘Rescue of Adriatica’, in which Urban tracked a group of sailors who were towing a burning yacht that had been attacked to the middle of Gruz bay in besieged Dubrovnik in an attempt to stop the flames spreading to a larger ship. “However, those [attackers] from the hills see them and they are hitting them with grenades. And he [Urban] is in the same place, sharing their risk,” Maracic said. Urban wrote letters in the form of a war diary to Bratos, who was still in the US. His final letter only reached her some 20 days after his death. 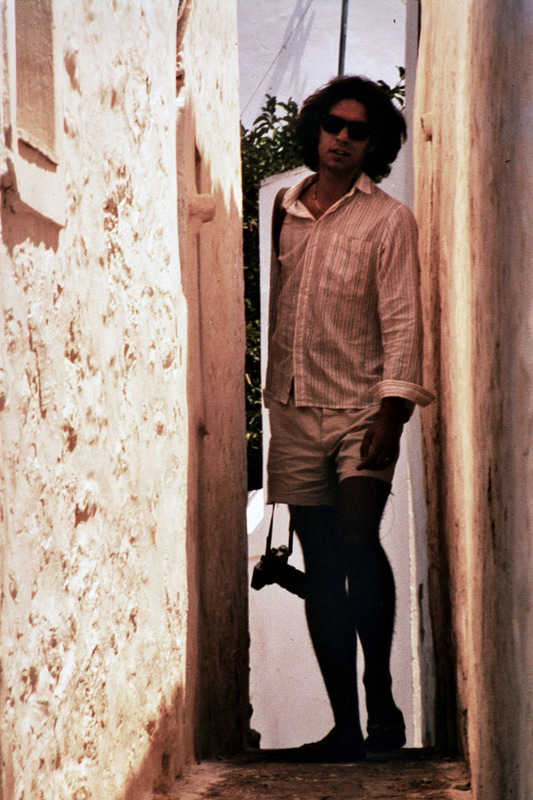 “His letters written in the form of diaries sat for a long time in my drawer, stored away,” Bratos said. “And after my friends and people that I trust read it, I got feedback that it also [has] a literary value, not only a private one, that [the letters] contain a document of a time that was affected by war and the war period,” she added. Many years after his death, in 2016, the book ‘War Diary of Pavo Urban’ was published.It is a seven-day record in which Urban writes of the things he saw and experienced, as well as his worries and frustrations. At one point, Urban seems to change styles, switching from diary format to a letter, and then directly addressing his girlfriend, saying he hopes she will have good feelings about Dubrovnik, even though he can’t: “For me, above all, [my feeling about Dubrovnik] will be bitterness. Bitterness against all those who live there. They don’t care about the war until a grenade hits their house,” he wrote. During the shelling of Dubrovnik by the Yugoslav People’s Army, 19 people were killed and 60 were injured. Watchdog organisations and rights groups have raised concerns that since then, only two people – former JNA General Pavle Strugar and his subordinate Miodrag Jokic – have been sentenced for war crimes committed during the attack on Dubrovnik, despite the fact that it is known that during the siege and the occupation of the surrounding area, numerous war crimes against the civilian population were committed. “This is such a big crime that it is not possible to do justice to it. To shoot at Dubrovnik – that is something that words cannot describe,” Maracic said. 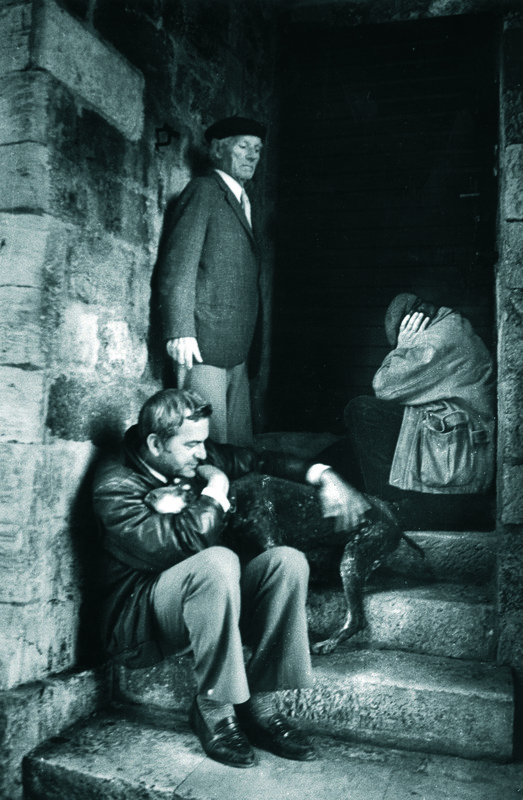 Soon after Urban’s death, a book about the photographer was published in Dubrovnik, while numerous exhibitions have been staged to display his pictures all over Croatia. Another book entitled ‘Pavo Urban – The Last Shot’ was put together by Maracic, in which he assembles Urban’s last photographs into a kind of sequence. Bratos said that the anniversary of Urban’s death is still marked each year by various institutions and galleries in Dubrovnik. “December 6 is never forgotten. I mean, people regularly remember on December 6, what happened [in 1991]. That is still the biggest attack on the city,” she explained. “We who knew him, we remember him with the warmest feelings and we have the most beautiful memories. And I’m glad that people who did not know him are also remembering him, and that they met him through his work and through his letters and diaries,” she added. Zagreb remembers Urban too. On the wall at the Croatian Journalists’ Association building, there is a memorial board with the names of Croatian journalists, cameramen, photojournalists and technicians who were killed during what is known in the country as the ‘Homeland War’. On the board, Urban’s name is listed alongside those of 13 other Croatian media workers who died. A total of 13 foreign reporters were also killed in the Croatian war. 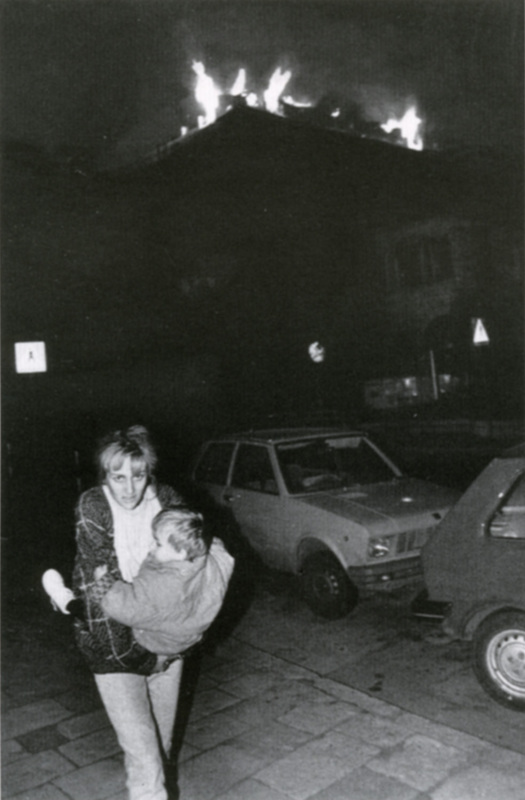 The last photographs ever taken by Pavo Urban, before he was killed during shelling in Dubrovnik on December 6, 1991. Photos: Pavo Urban. Around 140 journalists were killed during and after the 1990s wars in the Balkans – some of them foreigners who came to cover the conflicts, but most of them citizens of the warring republics. Some were killed while reporting from the front lines of the conflicts, while others were gunned down in the streets of their hometowns, or killed in their own offices. Amid the hysteria of nationalist unrest, journalists were seen by some as enemies who reported inconvenient truths. The lack of any other convictions shows that impunity for violence against reporters and other media workers has persisted for decades after the Balkan wars ended. BIRN’s Last Despatches series tells the stories of some of these reporters, and highlights how attempts to secure justice for them have not yet succeeded – mainly because of official negligence or disinterest, or sometimes because their deaths still raise questions about people with connections to the highest levels of power in the Balkans today. The Last Despatches series is part of BIRN’s Transitional Justice Initiative, co-funded by the Kingdom of The Netherlands and the European Commission. This website was created and maintained with the financial support of the European Union. Its contents are the sole responsibility of BIRN and do not necessarily reflect the views of the European Union. Our articles and graphics can be republished freely under Creative Commons Attribution-NonCommercial-NoDerivs 3.0.  This allows you to copy, distribute and transmit our work for non-commercial purposes. It does not allow you to alter, transform or build on our work without prior consent. Photographs and video cannot be republished without permission from the licence holder.